Representatives from the Science, Technology, Engineering, Math (STEM) and business communities discussed the ways in which STEM and Career Technical Education (CTE) are linked on Wednesday, April 2nd at NASDCTEcâ€™s annual spring meeting. The panel, moderated by Jay Scott Assistant Director at the Kansas Department of Education, explored the ways in which CTE and STEM are connected and examined issue areas which are of interest to both communities. 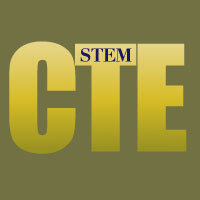 The panel, spurred in part by NASDCTEcâ€™s Associate Executive Directorâ€™s recent publication, CTE is your STEM Strategy, tackled this fundamental linkage and looked for ways to build upon this interconnectedness. Linda Rosen, CEO of Change the Equation (CTEq), started the session off by outlining what a STEM occupation is and the positive impact STEM skills and knowledge have on oneâ€™s ability to find gainful employment. Noting that STEM occupations constitute 11 percent of the U.S. workforce, she pointed out that job postings for those with a strong STEM background generally fared much better than those without similar knowledge and skills. She went on to argue that CTE is an effective method of delivery for STEM education and one way to improve upon existing programs that link the two is through greater alignment of CTE programs with the labor market. â€œAbove all, corporate America expects results,â€ she said. Among other proposals, Dr. Rosen suggested that employers should be engaged (and vice versa) in more meaningful ways and that accountability provisions within current law should be more closely linked with labor market needs. June Streckfus, Executive Director of the Maryland Business Roundtable for Education (MBRT), focused her remarks on the work her organization is currently doing in the state of Maryland. She outlined the main points of emphasis for her organization and Marylandâ€™s STEM strategyâ€” accelerating student & teacher growth along with cultivating public support for these initiatives. This last point guided the rest of her presentation where she convincingly demonstrated that employer engagementâ€” something the state of Maryland is ideally situated to leverage given its close proximity to many large national employersâ€” was a key tool for improving employment outcomes for students. To support her argument, she highlighted an article that found a strong positive correlation between the number of employer or professional mentor interactions with students and employment outcomes after program completion. Ted Wells, Chief Strategy Officer for STEM ConnectorÂ®, rounded out the discussion with an overview of how his organization seeks to support public-private investment in STEM programs. Throughout his presentation he highlighted the importance of CTE and STEM as strategies to effectively address the nationâ€™s skills gap. He went on to argue that this skills gap is clearly evident and that it has persisted for far too long. Wells recommended that CTE be incorporated more heavily into the standards movement, specifically within the Next Generation Science Standards (NGSS) and the CommonÂ Core State Standards (CCSS). He also emphasized the importance of involving STEM leaders within the CTE enterprise and stressed the importance of educating policymakers on the importance of these twin issues. This entry was posted on Thursday, April 10th, 2014 at 6:11 am	and is filed under News, Public Policy. You can follow any responses to this entry through the RSS 2.0 feed. Both comments and pings are currently closed.